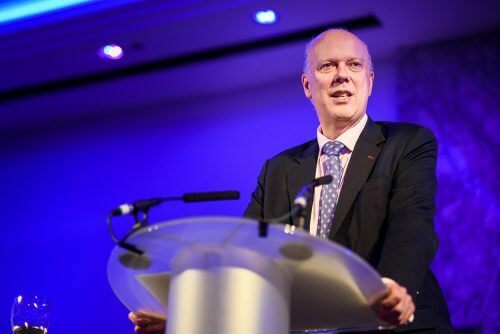 Secretary of State for Transport, Chris Grayling, praised the industry’s efforts in a speech at the Confederation of Passenger Transport (CPT) annual dinner. “No matter how much attention is heaped on other areas of transport, the fact remains that two thirds of all public transport journeys in Britain were made by bus and coach last year,” he began. “Buses have been the backbone of our transport system for well over a century. “Over that time, transport technologies have come and gone. Chris acknowledged that bus use had once again fallen in the latest annual DfT bus statistics, but highlighted that the bus is still an essential mode of transport for millions: “You provide something that people want – travel that’s accessible, quick, affordable and reliable. “But in fact, you’re doing much more than that; you’re providing a service that’s every bit as important as health or education. He also praised the level of customer satisfaction both the coach and bus sectors consistently achieve, reminding the audience that nearly 90% of bus passengers say they are satisfied with their journeys. Chris was eager to address the subject of Brexit, saying that both the EU and UK have a ‘strong mutual interest’ in maintaining current coach and bus links. “During an implementation period, the UK will continue to be a member of EU agreements, meaning that coach and bus services will continue as normal,” he said. “When it comes to our future relationship with the EU, we are exploring all options. Ultimately, for passenger transport, we’d like a liberalised arrangement which enables services to run just as they are today. In preparing for a no-deal situation, Chris announced that the Government has independently sought to join the Interbus agreement – and will join as an independent member if we leave the EU without a deal. Next, Chris turned his attention to rural bus services in the UK: “Local authorities have the power to subsidise services when they’re not commercially viable,” he said. “Since 2014, £40m of funding has been paid directly to local authorities through the Bus Service Operator Grant for this reason.